Xiaomi’s Mi A1 is one of the best phones that you can get under a price of Rs.15,000 or under $230. It packs some great specs like dual cameras, Stock Android, great build, high-quality audio technology and more. Still, there is one thing that we have missed on not just the Mi A1 but also in all the Xiaomi phones available around the same pricing. That thing is fast charging. We are not saying that Xiaomi should provide Dash Charging like feature for its phones but look at Motorola and its Turbo Charging support for its budget devices like Moto G. Seems like the Xiaomi Mi A1 is finally getting the Fast Charging and that too, with the latest Android Oreo Beta Update. The primary highlight of the Android 8.0 Oreo update for the Mi A1 is Xiaomi enabling the fast charging support. After the update, the Mi A1 charges from zero to 100% in 92 minutes, as compared to the earlier two hours of charge time. However, I tested the charging speed using the OnePlus 5T charger, and not the Mi A1 bundled charger. Lack of fast charging was one of the massive letdowns for the Mi A1 when it released, but it’s going to change with the Oreo update though. So, it looks like the users of the phones will get this Fast Charging feature as soon as the stable Android Oreo update is rolled out. 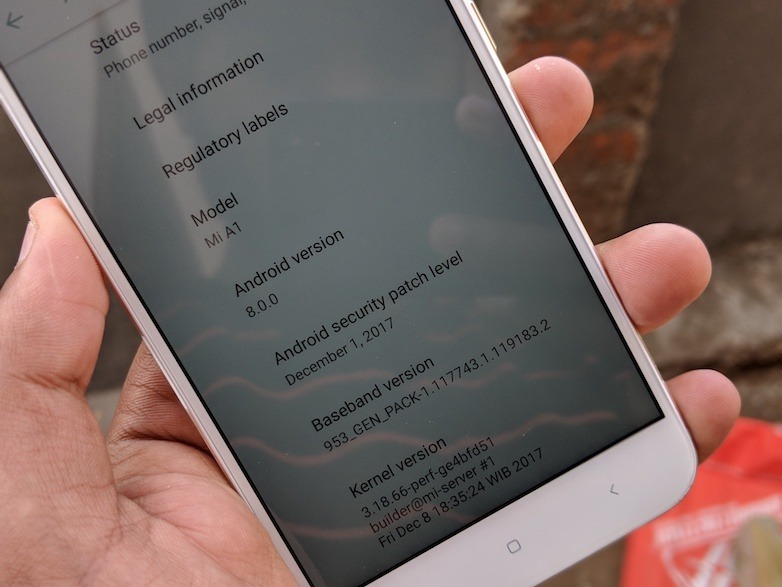 What do you think of this new feature being added to the Xiaomi Mi A1 via Android Oreo Update? Do let us know via the comments section.